A story is more than a simple chain of events. It is the tale of how a flow of energy finds its way and is amplified by destiny. Here this destiny is embodied in a documentary conceived in 2010. 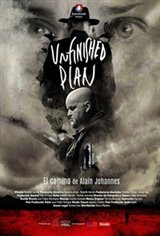 It focuses on the life of musician Alain Johannes and how his story has shaped the return to his origin, to the country of Chile, where he was born in 1962.